Planet Organic Provides You Easy and Healthy Delivery of Organic Food. Planet Organic - Organic Planet. That's what you get! Planet Organic! A Planet that's Organic? Wouldn't it just be wonderful? Make the choice. Go Organic. With Planet Organic that is VERY EASY. 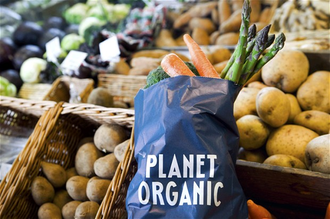 Planet Organic provides you delivery of organic food across UK and Europe. It is UK's largest fully certified supermarket and provides you with a lot of healthy options. You can really do the best for yourself and your loved ones at Planet Organic. They think of it all so you don't need to bother. Planet Organic have a variety of choices of gluten-free, dairy-free, raw food options. Also the Health and Beauty section provides you the best natural health supplements and organic skincare products. Get the feeling of being on a Planet that is Organic! Planet Organic provides you easy and healthy delivery of organic food. You have an ocean of options; Gluten-free, Vegan, Dairy-Free and ALL other groceries. Planet Organic also have a large variety in organic health and beauty products.